10/9/15 – Update v5.8 Custom Bags, Steam Controller Support, & 2D Portraits! In this update, we bring you Custom Bags! You can now turn any custom object into a bag and it will work just like the default loot bag in game. We also added 2D portraits, which will take your Steam avatar and turn it into a portrait behind your name at the table, so it’s almost like you’re sitting there! Remember those Jigsaw Puzzles? We added the ability for you to remove the image off the table, so unless you need a little extra help, there’s no need to use it. We forgot to mention this in the last update, but for grid improvements, you can now change snapping to be to the line, center, or both in the grid menu! **Note** Keybinds have been reset! You can now set any custom object as a bag. Right click on an existing object and click custom and choose the ‘bag’ option. Or choose the ‘bag’ option when importing your custom model. Your Steam avatar is now used as a 2D portrait in game. 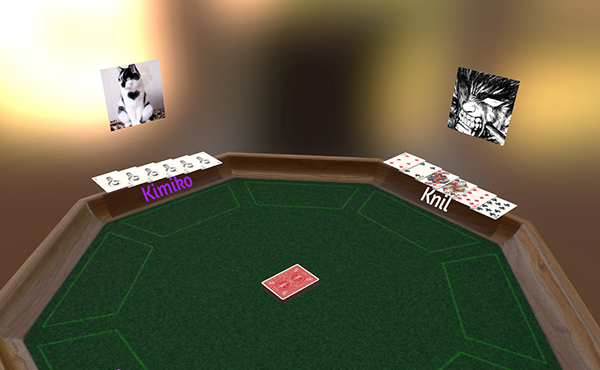 This simulates more of a “playing around the table” atmosphere. Portraits will disappear when you’re behind them, so they don’t block your view. Portraits can be turned off in the configuration menu if you don’t want to see them. We now support the Steam Controller and it is fully functional in game. The control scheme for the controller can be found by pressing the back / select button. Greatly improved mouse input for the regular controller. Changed around some of the controller binds. You can see the changes by pressing the back button. The controller is now default enabled. Further improvements to controllers will be coming in the future. There is now an option to add/remove the image from board for increased difficulty. 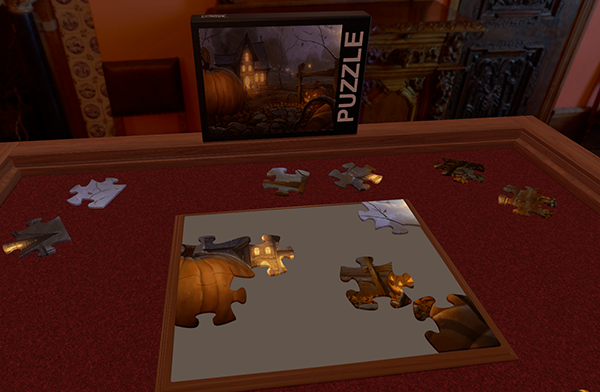 A puzzle box has been included with the uploaded image in its place. Greatly reduced RAM usage of Mp3 player. Buttons for looping songs have been added. You can loop one song or loop all the songs in the genre you are in. Improved saving and loading of Mp3 player. Rest of the old UI has been removed. IRC ‘lobby’ button on the front page has returned (for achievements). IRC now opens to a web based format so you can utilize full IRC commands and functions (PM’ing, etc). Cardboard sound has been added to the materials tab in custom. Lowered the volume of the intro logo. Moved the Controller & Touch checkboxes to the ‘Controls’ tab in the Configuration menu. Control Schemes (? menu) have been cleaned up to make them more readable. Zoom in/out has been improved (Sped up scroll zoom and dynamic zooming based on distance). Overall minor UI polishing on typos and other changes. Improved and revamped Skybound Insider Program Mats. Fixed Vector Erase Line hotkey not working. Fixed 2D tablet pointer is not lining up properly. Fixed issues with radio buttons becoming deselected.